Sky Ventures is the only wind tunnel simulator in Asia. For their promo film, they gave us free reign of their entire operations. 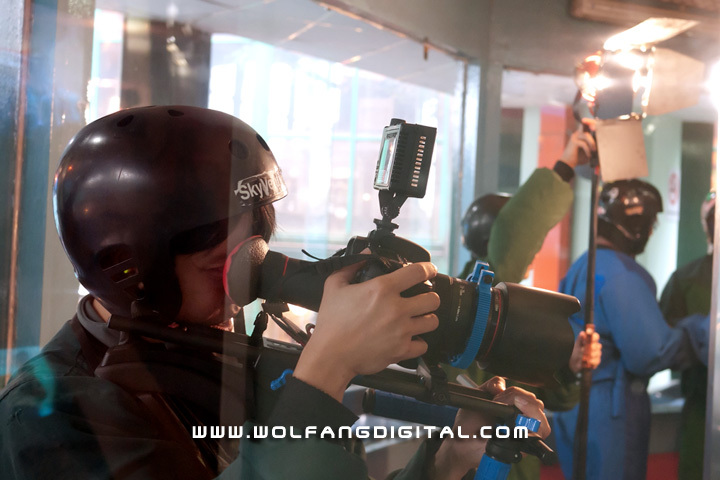 We used the Canon 7D to film the skydiving instructors as they performed advanced aerial stunts in the wind tunnel. The wind tunnel produced drafts in excess of 193 Km/h. This was more than enough to propel the human body upwards into the tunnel.